When you're hot your hot! 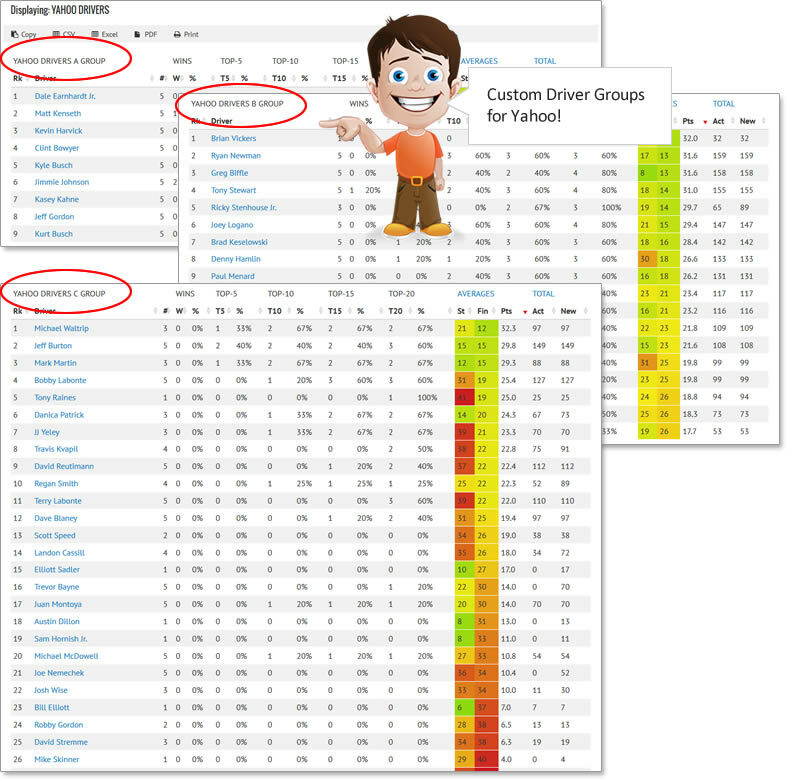 Many fantasy racing players insist on factoring driver momentum into their NASCAR fantasy picks. Others say that driver momentum (or any theory of momentum in sports) is a fallacy. VALID STATISTIC OR VOO DOO? Still, there's not a NASCAR race weekend that goes by where you don't hear drivers, crew chiefs and the guys in the broadcast booth mention the seemingly simple concept of DRIVER MOMENTUM. If you are inclined to believe that a driver can be on a 'hot streak' and build upon the previous weeks performance, then this statistic is for you! Select any combination of races you want from the RACES AVAILABLE section above. You might want to look back over the last two, three, five or more races and see which drivers are performing hot and which ones are cold.